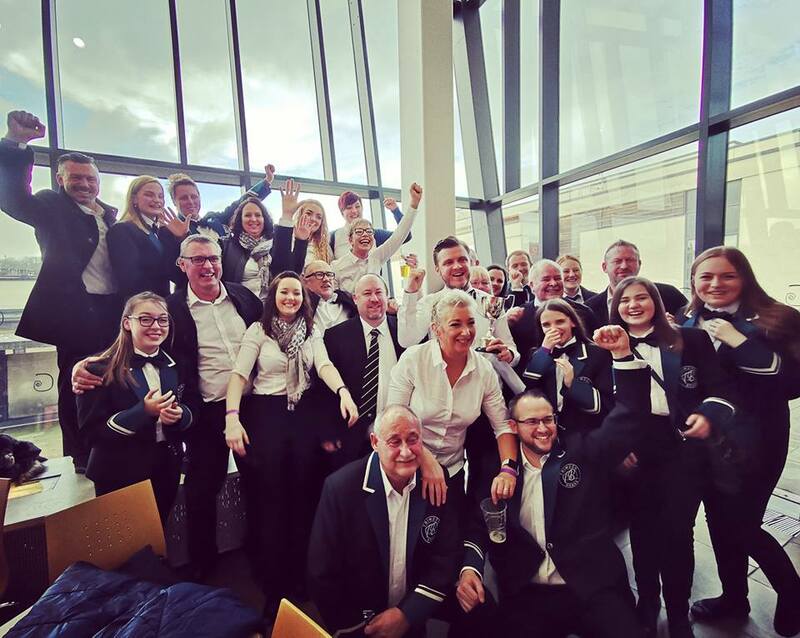 Trimdon Brass is in line for national glory after qualifying to represent the North East of England in the finals of the countrywide Brass Band Championships to be staged in Cheltenham in September. The Band clinched its place after coming second out of 8 bands in the Third Section of the Northern Regional Championships at Durham’s Gala Theatre on Saturday 16th March. William Harrison musical director, said: ‘This is a wonderful result for the band reflecting the continued development and commitment of each player. The Band are especially proud of the 6 members of the winning team who are under the age of 18. These youngsters have progressed through from the bands training band’. Nichola Tempest-Hall, Chair, added: ‘To come second after being newly promoted is a fantastic achievement and then to go on to represent Trimdon and the North East in the National finals really is a dream come true. I am so proud of the character and team spirit Trimdon Brass show’. Band Members are now focused on raising the necessary funds to take part in the finals. The band have a busy concert schedule ahead and are looking forward to performing at Ripon Entertainment Contest in June and accompanying the Trimdon Colliery Banner in to Durham Miners Gala in July. The band would like to thank the community of Trimdon for their continued support.